There is a block long hole in the earth on the east side of 1st Avenue at the upper 40s running parallel to the FDR and the East River…a much delayed or (hopefully) abandoned, bubble-era, real estate swindle, I suppose. Among the broken earth and detritus, sea birds rest and roost. Among them: Seagulls. Gulls, perhaps, are better suited for the times than we…foraging upon the scraps of empire’s end…with their powerful stomach acids, their stalwart bodies breakdown the hideous fare that has transformed us into a gallery of bloated grotesques. Our tough brethren at empire’s end — they are fearless and cunning birds: I once witnessed one steal a french fry straight from the hand of a distracted beach goer. Gulls make a mockery of our empty appetites and endless entitlement — and drop it back upon us…pelting us from above with their liquid, avian shiftings. I should tell my friend, afflicted with “treatment resistant depression,” of what I have witnessed there on 1st Avenue. 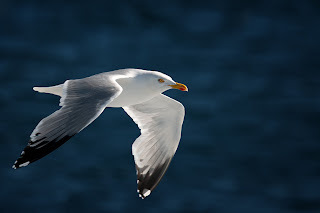 If I possessed the powers of an aboriginal shaman, I would sent him a winged bouquet of seagulls to lift his spirits. They would inform him of his true condition…share their strong stomach acid insights with him…to help him digest the landfill cuisine of empire’s end. And impart to him that his suffering is not misplaced; it is only his interpretation of his auguries that is off-the-mark. His perception is accurate: He has only mistaken the tragic story of the times for his own tale.